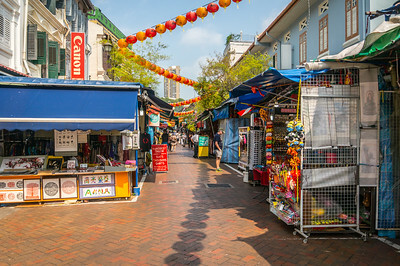 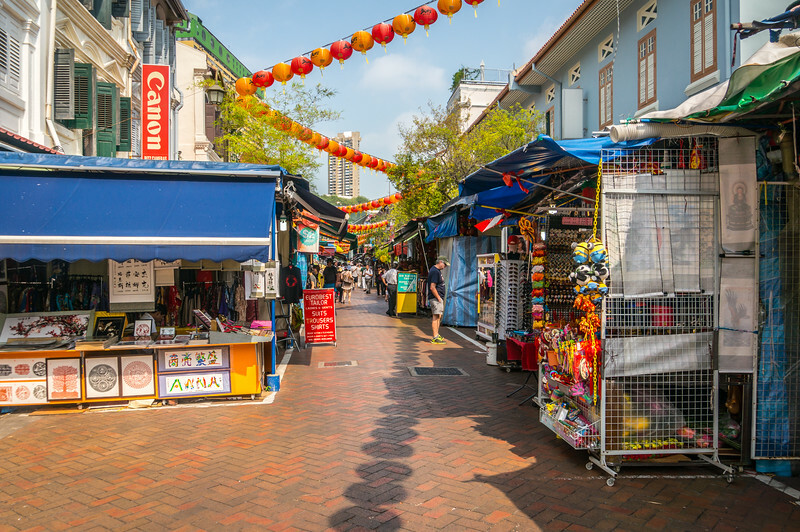 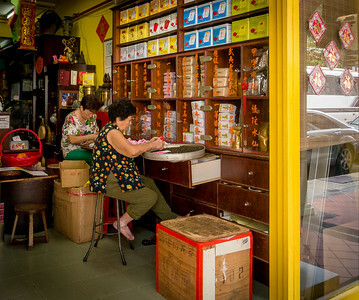 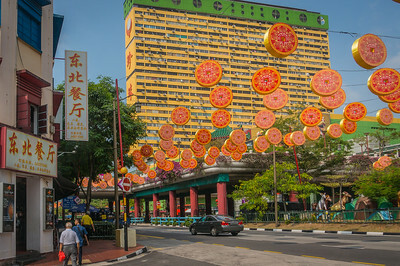 On our second day in Singapore, March 5, 2015, we took the Metro to Chinatown to walk around and see the sights. 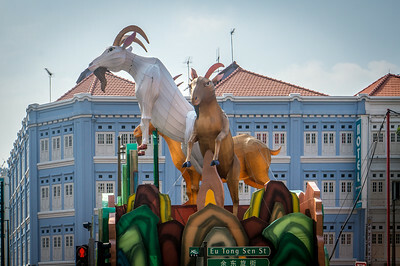 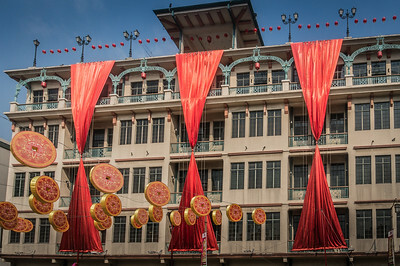 This was the end of the Chinese New Year celebration, so Chinatown was still decorated for the Year of the Goat. 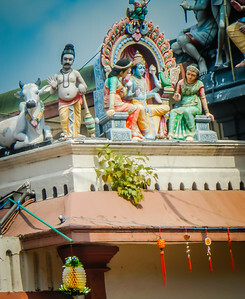 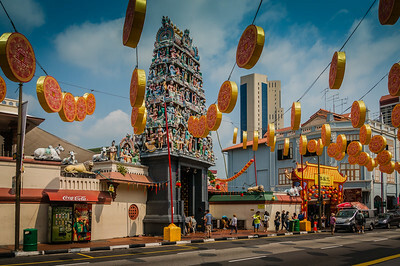 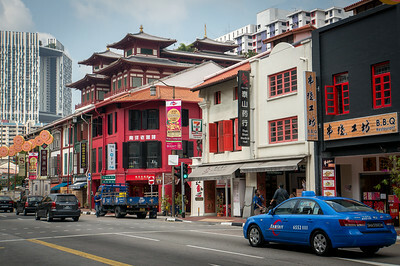 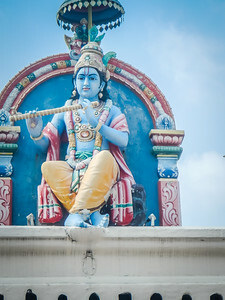 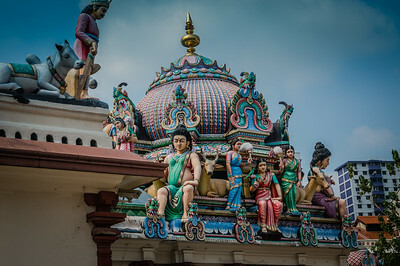 In the middle of Chinatown is the Hindu temple Sri Mariamman, with its highly decorated façade. 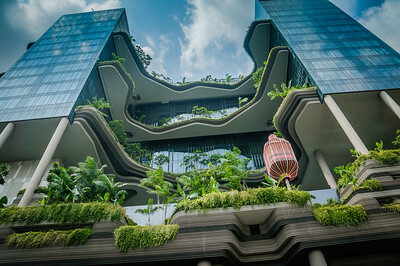 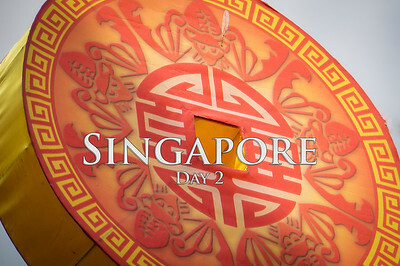 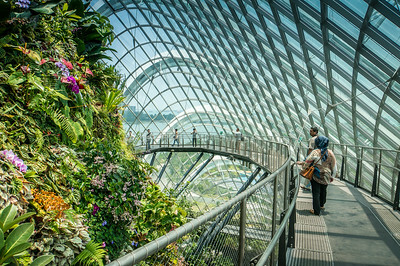 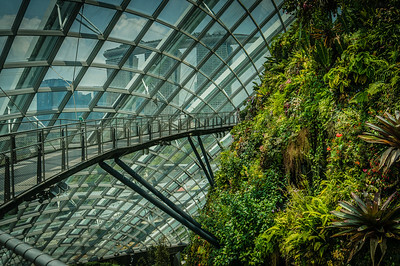 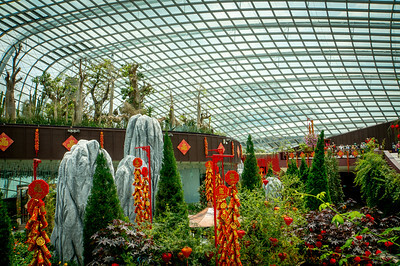 We then hopped on the HoHo bus and went to the Gardens by the Bay, a huge 101 hectare park and gardens. 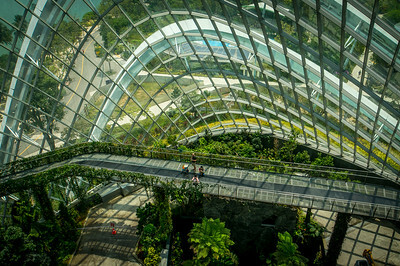 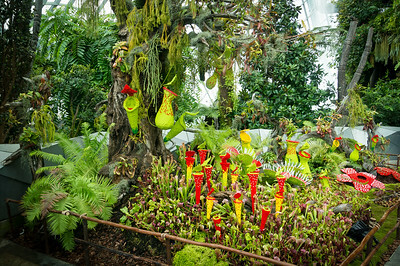 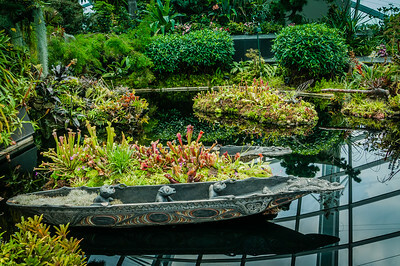 Since we had limited time we decided to visit the 2 conservatories, the Flower Dome and the Cloud Forest. 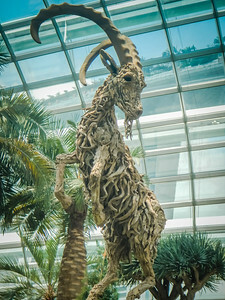 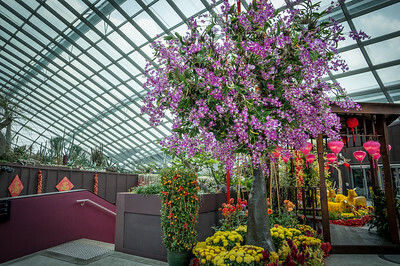 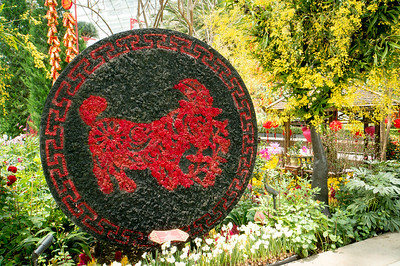 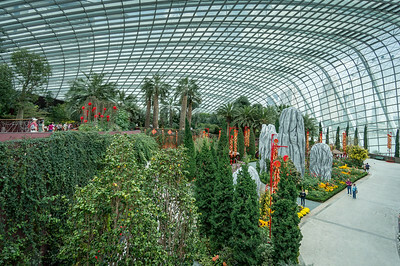 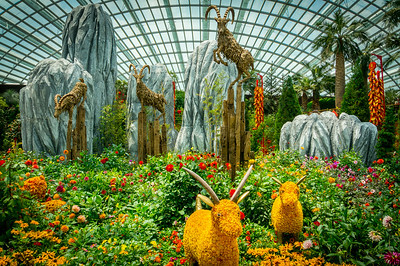 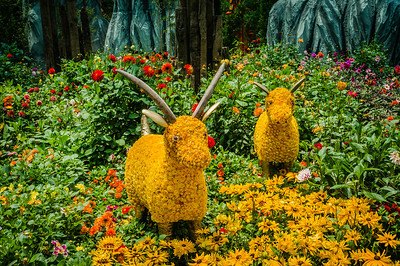 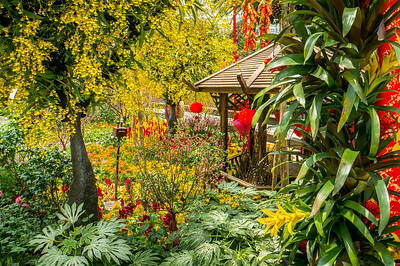 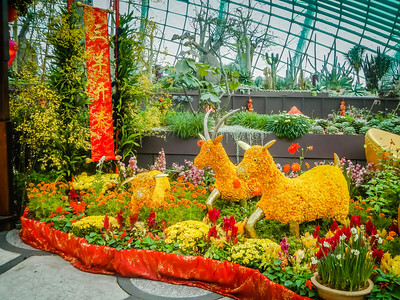 The Flower Dome was decorated with topiaries and natural sculptures depicting the Year of the Goat. 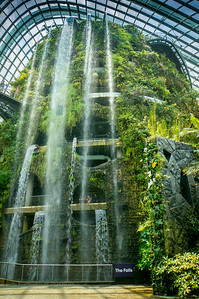 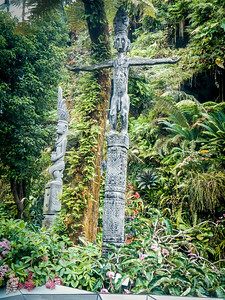 After the Flower Dome we enter at the bottom of the Cloud Forest in front of a 115 foot waterfall. 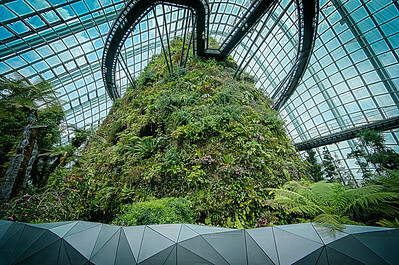 We proceeded to the top of the cloud mountain and walked down the circular path to the forest floor observing the many plants and flowers as we went. 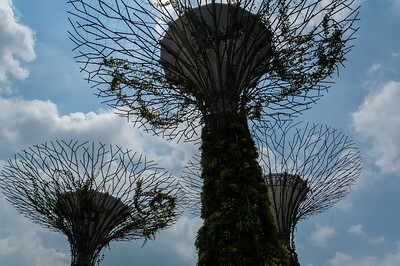 After leaving the conservatory we had a chance to see some of the Supertree Grove, large metal structures that are the focal point of the gardens.